The compactCELL combines the very compact build with the option of fully automatic processing. 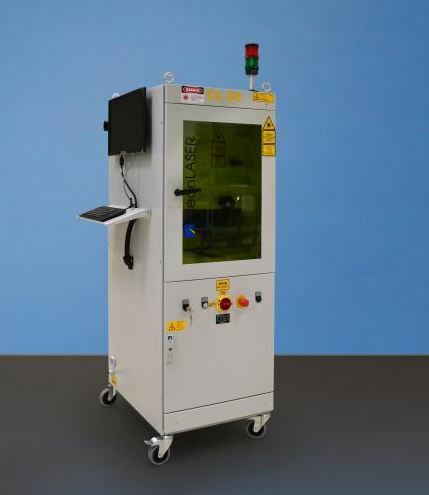 The production cell requires a standing surface of only 0.6 x 0.8 m and is equipped with a servo-operated linear axis and a manual Z-axis with scale for focus setting. A large sight window permits a view of the laser-safe housing (class 1). Loading takes place manually via the front door. The working field is typically at 180 x 600 mm.